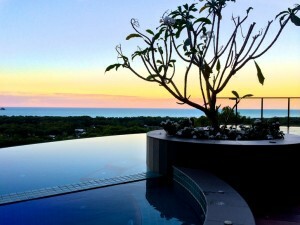 Warrawong Lodge is a luxury Cairns Bed and Breakfast in an idyllic rainforest setting, featuring an unrivalled panoramic view of the Coral Sea and Double Island. 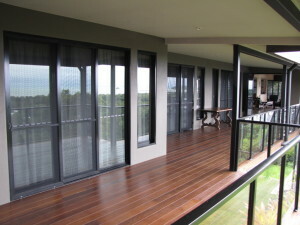 See our Cairns B&B video at Youtube video link. 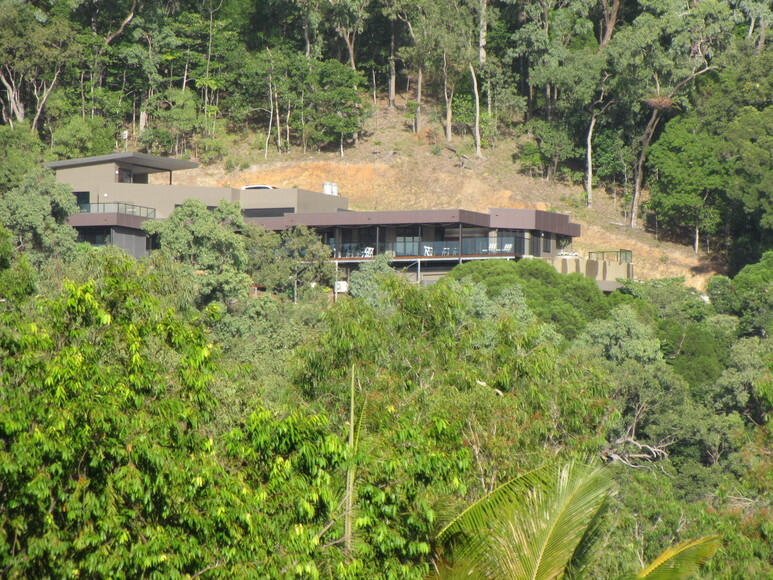 Warrawong Lodge is set at the back of a 4 acre (16,000 square metres) block of rainforest. 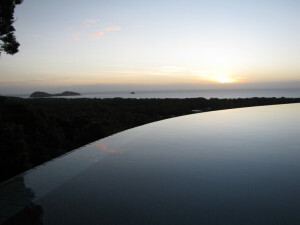 It is private, secure and has a fully unrestricted view of Double Island, Scouts Hat, Green Island and Fitzroy Island. All visitors to date have been gobsmacked by the view. 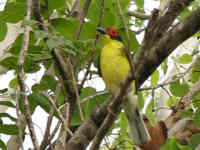 Warrawong Lodge is surrounded by trees, birds, wallabies, and many other rainforest animals and plants. 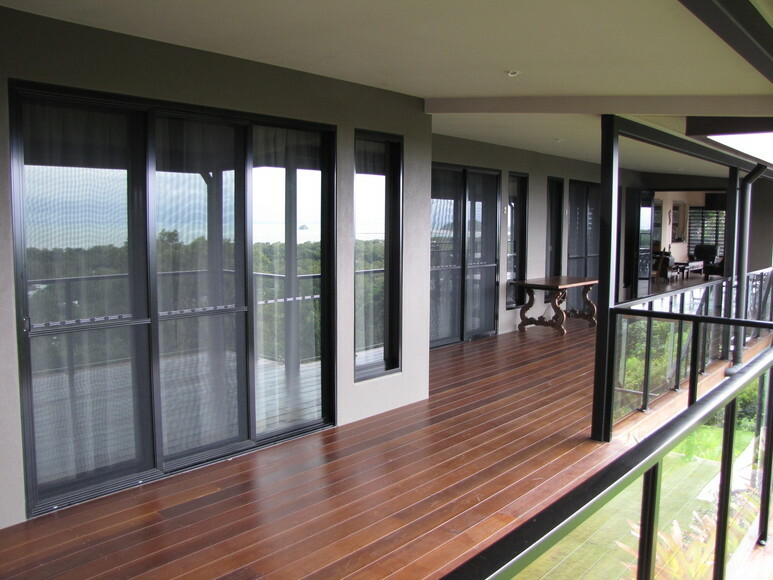 Warrawong Lodge is a luxury B&B in idyllic rainforest setting, featuring a panoramic view of the Coral Sea. 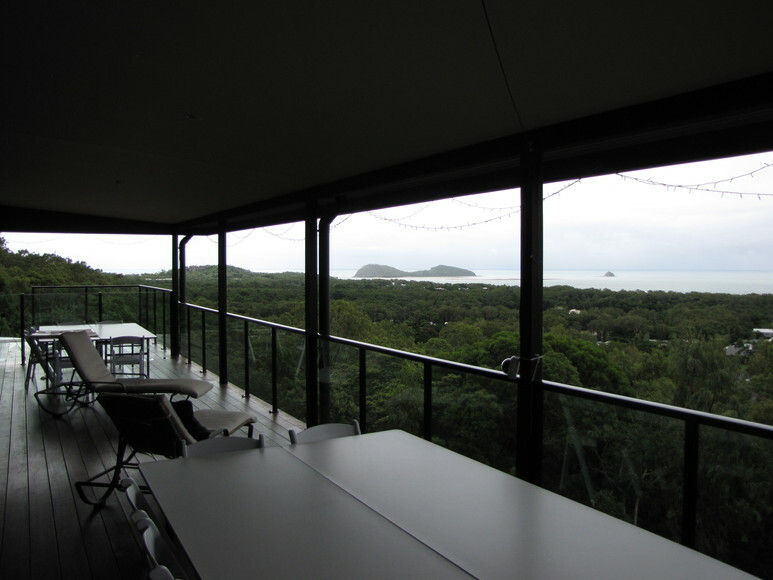 The building is designed so that all rooms have access to a broad ocean view of the Coral Sea. Each room is self contained with air-conditioning, ceiling fans, full ensuite bathroom and 2 queen size beds. The guest lounge room is situated between the bed rooms and the swimming pool and includes a 55″ HDTV with Foxtel. 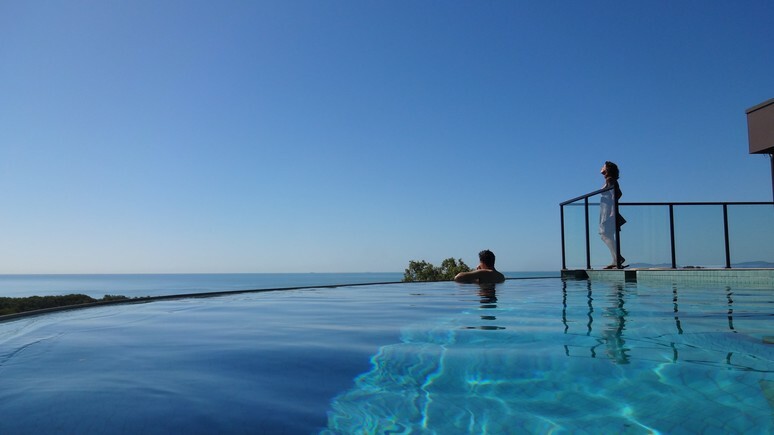 The solar-heated swimming pool and spa have an infinity edge, with full views of the Coral Sea, Double Island and Scouts Hat. The pool is a Mineral Water Pool System, which uses magnesium salts for crystal clear, healthier water that leaves your skin feeling like you have just left the day spa every time you step out of the swimming pool. 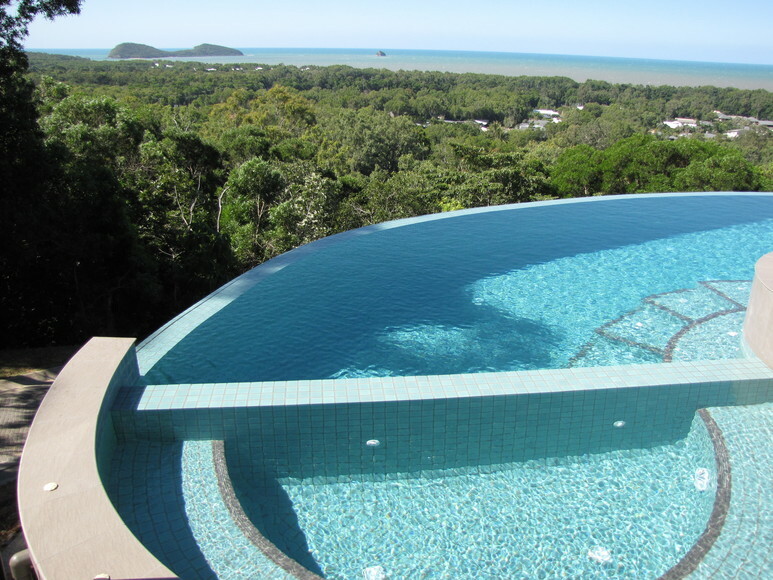 The pool was awarded 1st place for Queensland free-form pools in 2013. 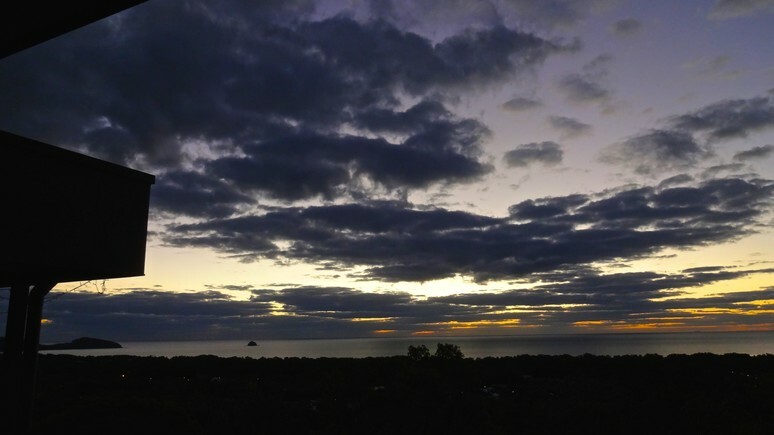 Warrawong Lodge has the best views and surroundings that can be enjoyed on the northern beaches of Cairns. The surrounding views include Buchan Point, Palm Cove, Clifton Beach, Kewarra Beach and Trinity Beach. Warrawong Lodge is also surrounded on all sides by the rain forest, and sits on the foot of the Macalister range. 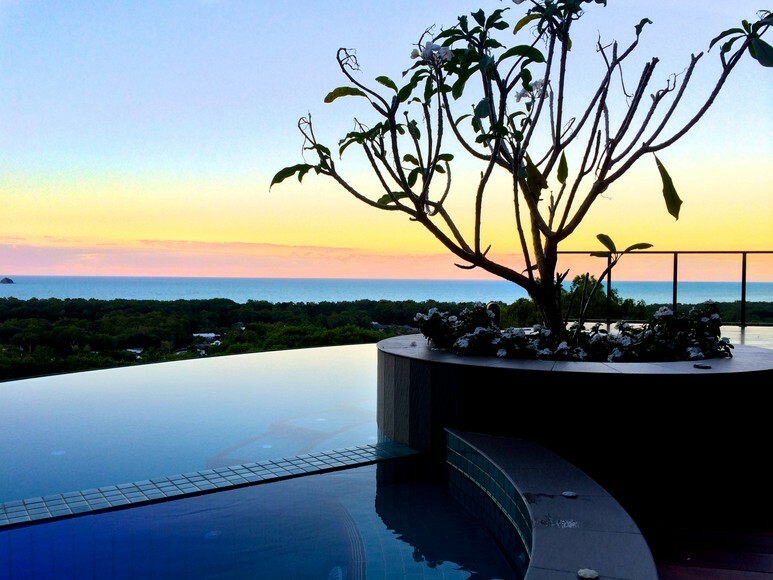 Whether you are looking for a northern Cairns B&B, a Palm Cove B&B, or Clifton Beach B&B, Warrawong Lodge is in the perfect location. The unrivalled panoramic views are a wonderful photographic background. The owners are Frank Baars and Karen Higgins. Frank was born in Far North Queensland and has traveled many parts of the world. Karen is from the USA, and moved to Australia after marrying Frank. We enjoy living and working in Cairns. Both of our careers have been in Information Technology, so building and operating a Cairns Bed & Breakfast has been a challenge. We like meeting guests and having a chinwag (chat) with them. 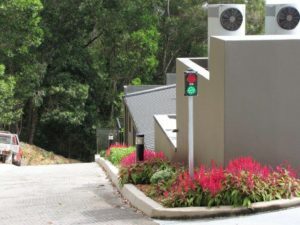 Frank has installed traffic lights in order to eliminate conflicts on our single lane 280 meter driveway. 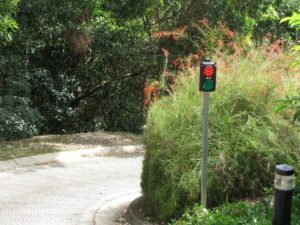 The lights run on a timer and are not motion-sensitive. 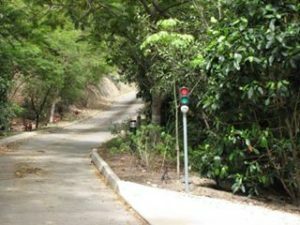 Please stop on the red light and wait for the light to change to green.